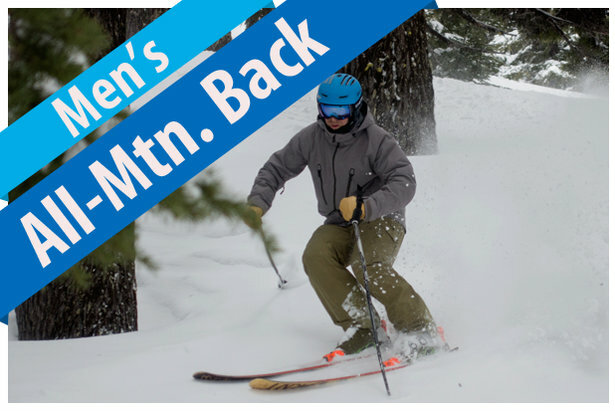 Men's All-Mountain Back ski reviews for 2017/2018. If you are an experienced skier who gets out often enough to savor all snow conditions, an All-Mountain Back ski should be the cornerstone of your collection. The reason why All-Mountain Back skis are the ultimate one-ski quiver, particularly for the western skier, is because they are the widest skis you can use that don’t feel noticeably wide at every turn. Once a ski is wider than the skier’s tibia head, not only does the ski become more difficult to tilt on edge for accurate steering, but the knee is also more exposed to stress. Because men tend to be larger than women, All-Mountain Back skis can be all-terrain skis for men but should be considered off-trail skis for smaller women who don’t need anything wider to create sufficient flotation for powder. Lighter women should look at skis in the All-Mountain Front Category for a comparable balance between on-trail and off-trail properties. Generally speaking, All-Mountain Back skis are best suited to skiers of at least advanced, if not expert, ability. If a skier of average skills and experience graduates to an AMB model too early in his development, he will most likely never tilt the ski up to the high edge angle it needs to carve securely on hard snow. This doesn’t mean inexperienced skiers won’t have a ball on these skis in powder, but powder only makes up a relatively small portion of ski days. A major differentiator among All-Mountain Back skis is whether they’re most suitable for Finesse skiers who usually ski with their feet more or less under their hips or Power skiers who routinely extend their feet far to the side—with a distinct break between the angle of the upper body and the legs. Both Power and Finesse skiers may self-classify as experts, but they ski with decidedly different styles. 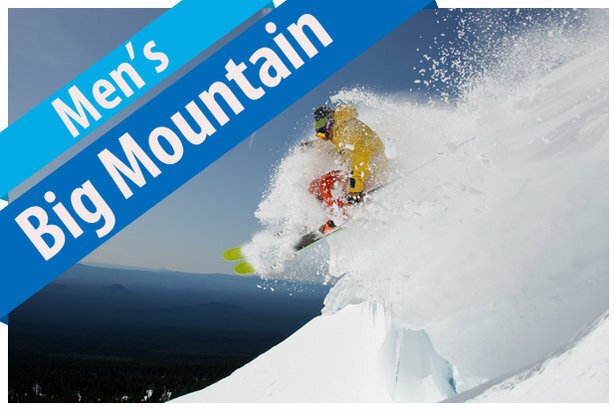 The men's All-Mountain Back ski reviews are provided by our equipment experts at Realskiers.com, powered by Masterfit.